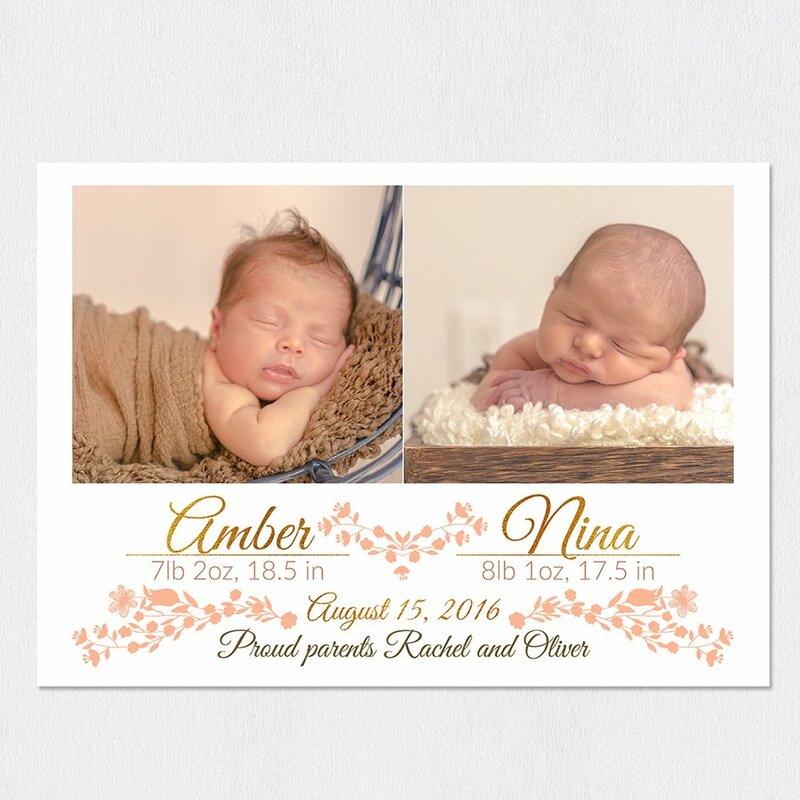 Beautiful floral design to announce the arrival of that new little addition to your family! 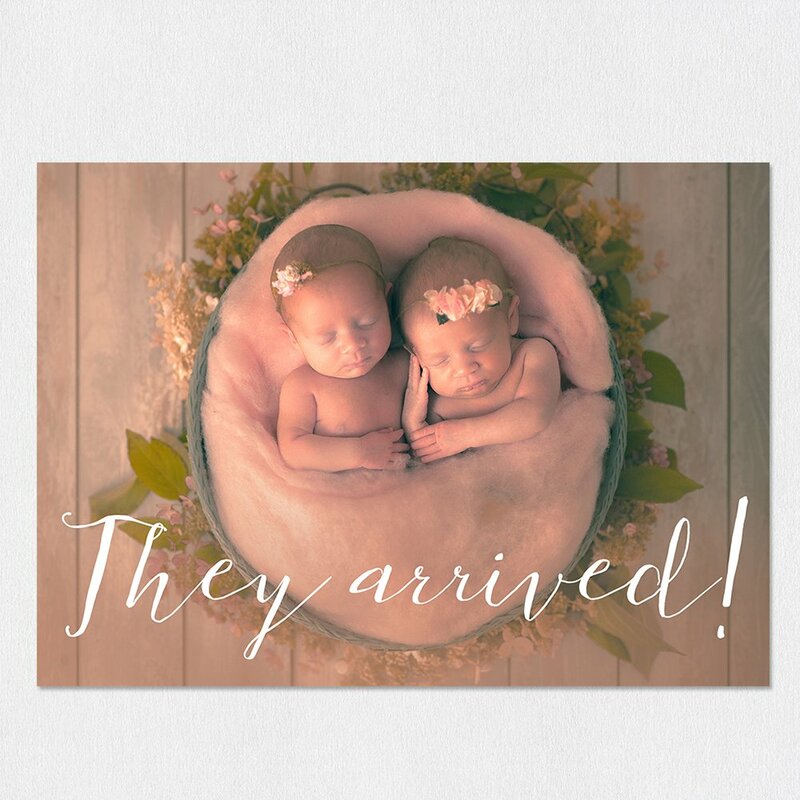 A template for Adobe Photoshop, designed for that magical moment where we welcome twins. 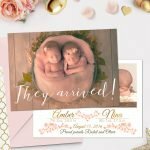 18×13 cm Birth Announcement Template. 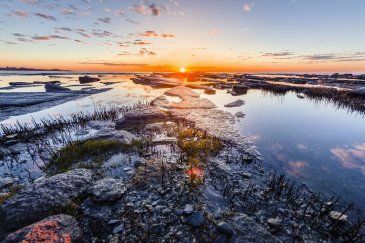 Compatible with Photoshop CS+, Photoshop CC and Photoshop Elements 7-14. 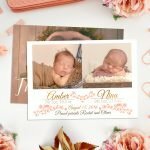 Click here for a guide on installing and working with our “Birth Announcement” templates. 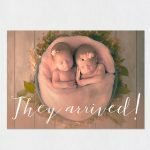 Imagine the joy of announcing the arrival of your new baby! 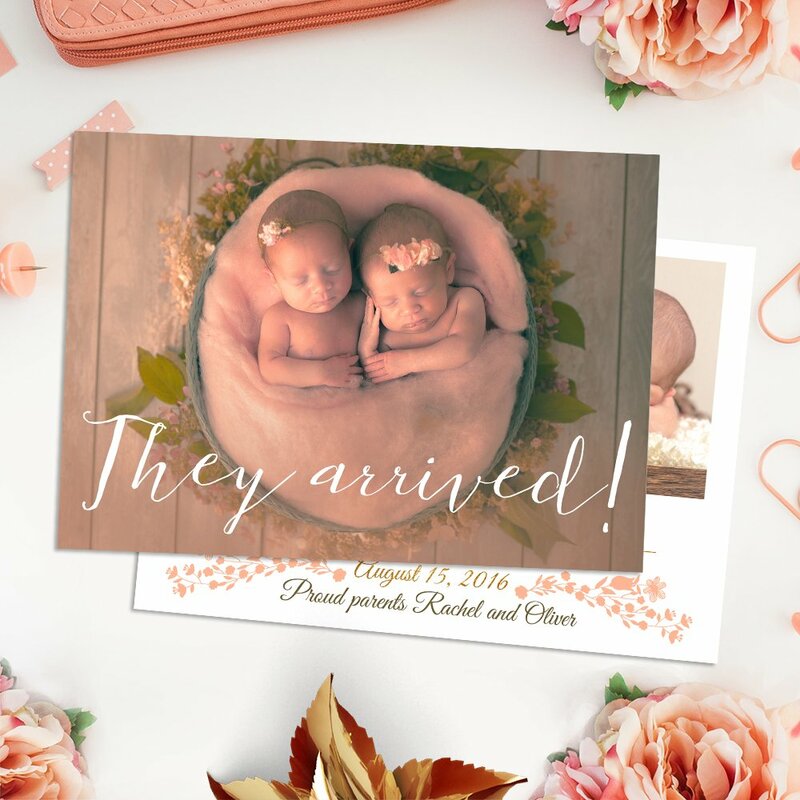 Not many templates on the market offer us the possibility to announce the arrival of twins, so with “Delicate Petals”, you’ll be creating a memory for the rest of your life. 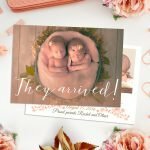 100% Editable in Adobe Photoshop.